The shape of snowflakes is influenced by the temperature and humidity of the atmosphere. Snowflakes form in the atmosphere when cold water droplets freeze onto dust particles. 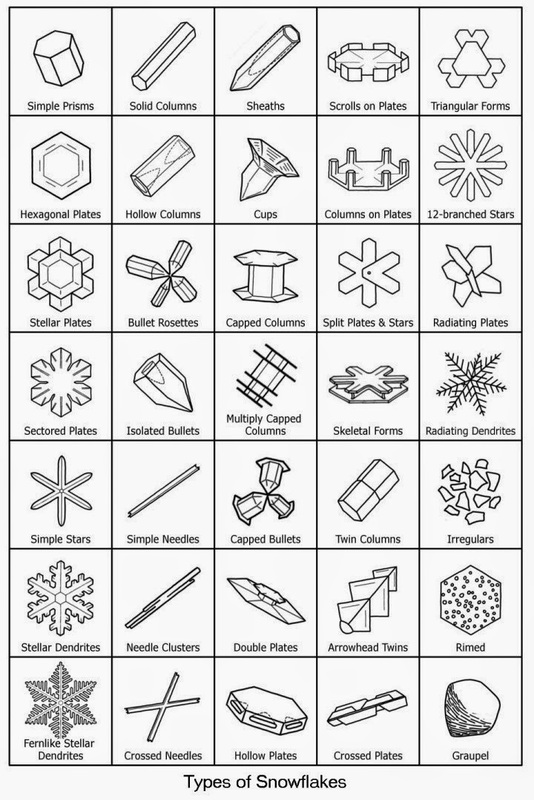 Depending on the temperature and humidity of the air where the snowflakes form, the resulting ice crystals will grow into a myriad of different shapes. The process by which snowflakes are formed is called accretion, which simply means the process of growth through gradual expansion or build-up. This is exactly what happens in the clouds when snowflakes are formed. Snowflakes fall from the sky in the winter season when the temperatures are so low that the moisture in the sky freezes forming ice crystals. The ice crystals in the clouds build up together forming snowflakes that are released from the clouds when the temperatures are low enough. 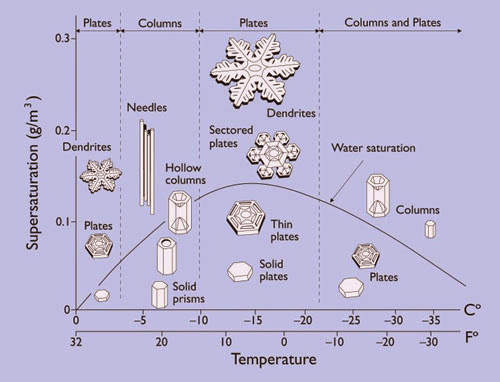 Temperature also has a large effect on the formation of snowflakes according to Libbrecht’s research. 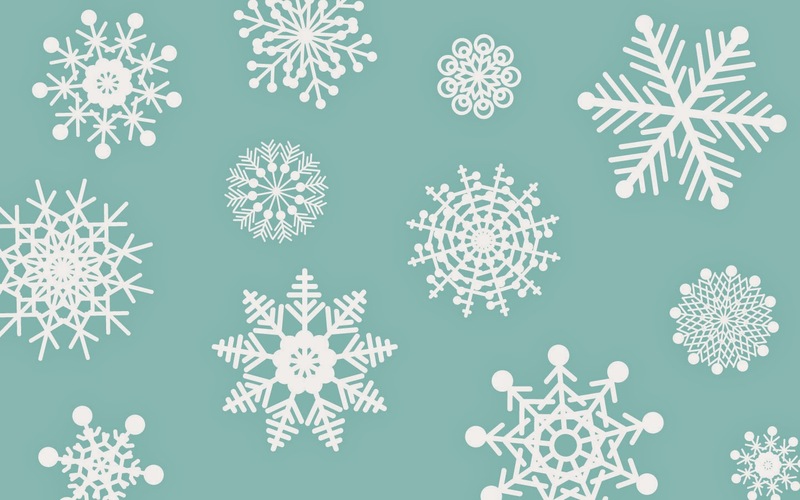 Snowflakes formed in temperatures below – 22 degrees Celsius (- 7.6 degrees Fahrenheit) consist primarily of simple crystal plates and columns whereas snowflakes with extensive branching patterns are formed in warmer temperatures.